One of the MOST powerful strategies in generating clients for your Business! Business Owners, CEOs, Sales and Marketing Department Heads and General Managers are all always on the look out for the latest, fastest and most effective methods of getting in new customers for their companies/businesses. There are literally hundreds of strategies that you can use to do this from big-ticket methods such as sponsorships, public relations and advertising strategies to cost effective methods such as referrals and email marketing strategies. But there is one strategy that is often overlooked and sidelined by many companies and yet it is one of the most powerful and effective strategies in generating new clients AND getting past clients to come back again and again. And it is a whole lot cheaper than most other methods too! The Strategy I am talking about is Telemarketing. In business, the telephone is your best friend. You can reach almost anyone with the phone and get the results you’re after very quickly too. But telemarketing though extremely effective can be a quagmire of challenges when not understood or conducted properly. Having trained executives, managers and business owners for years in how to use the telephone to bring in business, I can safely say that once you realize how simple, fun and scientific this really is, it’ll often be one of your favorite strategies. Before I get into how to get a telemarketing strategy to really work for you, here’s a little caveat-The Personal Data Protection Act 2010. 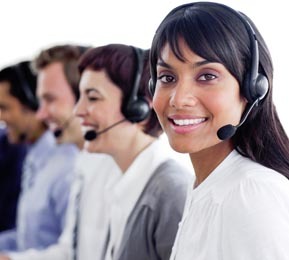 Make sure your telemarketing strategy is in full compliance with the Act. So let’s get started. People often say that telemarketing (sometimes referred to as cold calling) is a numbers game. This is not very accurate. In fact telemarketing is a Ratios game. It’s all about Ratios and the Scripts used in each ratio. In telemarketing there are 4 ratios and 4 scripts. When you understand it from this point of view, you’ll have massive success simply because you’ll know exactly where you’re going right or wrong in this strategy and how to adapt. These are the 4 ratios in Telemarketing. This is when you dial a number and someone says hello regardless of whether it’s the right person you’re talking to or not. Usually it will be the gatekeeper you’re talking to here. This is when the decision maker agrees to see you at a SPECIFIC date and time within the next 7 to 14 days. This is when an actual face to face visit has taken place. Sometimes you may have 7 appointments but only 4 visits (3 cancellations). Other times you may visit someone more than once so you could have 8 appointments but 15 visits. This is when you close the sale. For each set of ratios you will have a corresponding script that should be measured against others within the ratio. Keep changing and testing new scripts until you get one that really works for you. Let’s explore each of the 4 ratios. This script is about getting through the gatekeeper. The key: Being professional, friendly and using her name. Also you’ll sometimes need to call a few times before you get through which doesn’t matter as long as you stick to the key! Do this and your professionalism will get you through. Measure how many dials you need to make to get a completed call. Not all appointments end in visits. The key here is NEVER confirm the appointment instead confirm a detail of the appointment i.e. don’t say “John I’d like to confirm our appointment for 2 pm tomorrow..” instead say “John just letting you know I’ll be 5 minutes early for our appointment at 2 pm tomorrow is that ok?” Now you have moved away from this big thing called ‘appointment’ to a little thing called ‘5 minutes early’ which can get you more visits. This is your Sales closing Script. If you can show someone how you can help them do what they’re already doing, a whole lot better, faster and cheaper, you’ll get the sale. This means you need 90 dials to get 1 sale. So if you want 10 sales you’ll need to make 900 dials!! Also the above tells me that your Script 2 needs a lot of work, since once you speak to decision makers, you’re not converting many of them into appointments. And of course you have a 10% conversion rate from prospect to sale that also indicates some work on Script 4. When someone tells me that they aren’t very good in telemarketing I usually ask them in which script they’re having challenges in. Once you measure your ratios and test them against different scripts you’ll start having some phenomenal results in your telemarketing! Remember this: Telemarketing is a Science and like any scientist you will want to test different scripts and offers and target markets and measure the results of each and keep choosing the profitable results.